For assignments requiring the use of machinery in connection with the maintenance and repair or construction of new tracks and points, the Hering corporate group uses the track-bound heavy machine technology of Deutsche Gleisbau Union GmbH & Co. KG (DGU) as a partner. This gives us a guarantee of constant access to the largest privately owned fleet of tamping machines. The tamping machines are continuously operating levelling, hoist, straightening and tamping machines with two-sleeper tamping units for tracks and points. 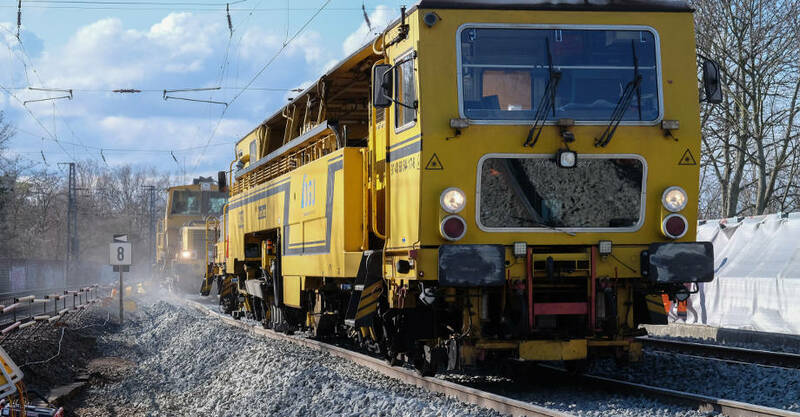 Using DGU’s modern and efficient track and points tamping machines from Plasser & Theurer, we can implement your construction assignment economically, reliably and with maximum precision. ... is in the hands of Hering and is characterised by equally high flexibility and reliability. Hering is a specialist in the rental of large rail-bound machines: in addition to track cranes, material conveyor and hopper wagons as well as loading stations are also available.